What’s up with that shake? Shaking drinks. Shaking drinks. Shaking drinks. We all shake our drinks. As just as there are many cocktails so are there many kinds of shaking. I can not for one tell you how to shake. There’s a certain rhythm you find and a certain showmanship you develop with every pulverized cocktail inside a tin. Before we touch on shaking let’s be repetitive and talk about the various vessels that can be used to shake drinks. 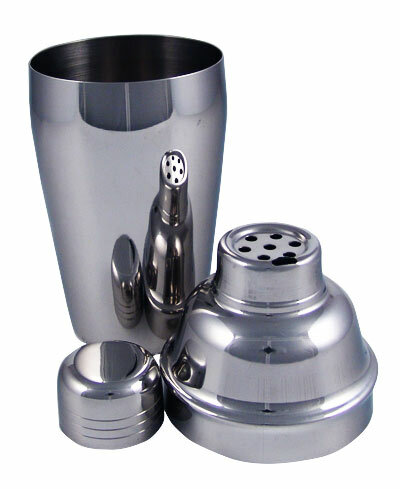 This is a three piece shaker, fairly form fitting and ergonomic in the hand, comes with a metal cap and a built in strainer. Obvious draw backs are the sizes, from single serving drink with an enormous limit on ice that can be packed in to the large somewhat clumsy variety. The plus side is a tight seal, great feel in the hand, you can really toss this shaker around and it feels safe to do so. the limiting space also allows for rapid cooling which might also mean increased dilution with little aeration. Some of my compatriots suggest that the Boston Shaker and the Japanese Shaking Tins are basically the same thing. They both have the same design; one large piece cupped with a smaller interlocking piece. 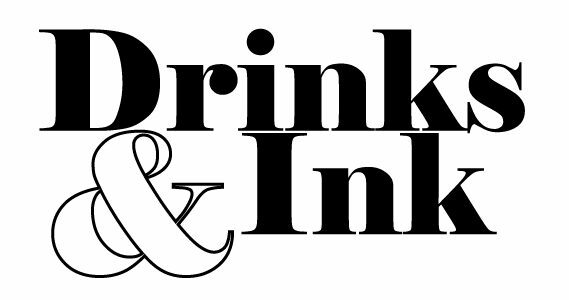 The difference being the Boston Shaker is one larger metal tin interlocks with a standard American Pint Glass (which can double and a mixing glass). The differences are the material. The thicker pint glass does take time to reach the right chilling factor some of use look for, also there tend to be ill fits from time to time. After all glass doesn’t expand and contract as easily as metal does. The next difference is weight. There is a significant weight difference which can lead to fatigue or a great work out, depends on how you look at it. Then there is the possibility of a break. Glass will inevitably break. It happens to the best of us. One the plus side we are looking at relatively cheaper alternatives to two components. 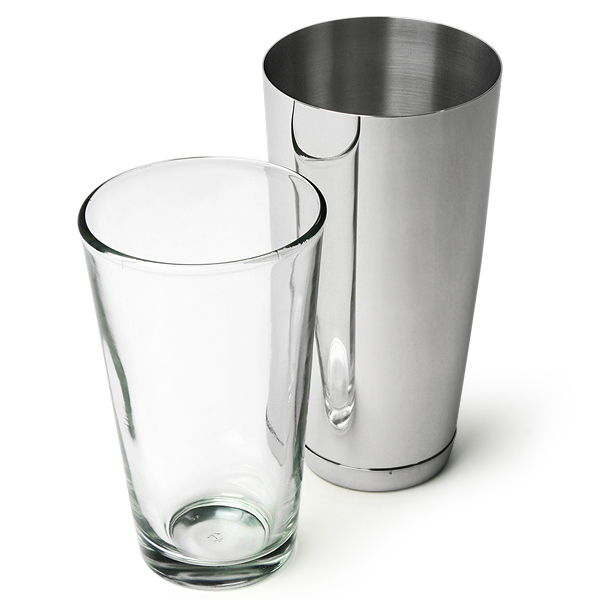 A mixing glass and a cocktail shaker. To add there is the ability to see your ingredients which is you are making dozens of drinks is a big help. The Japanese mixing tins on the other hand are lighter in weight and do provide a tighter seal, which if you know how to break is great but it only takes one difficult seal to land you in a bad spot struggling to crack open a drink, the fastest way to look like a first timer behind the stick. Being completely made of metal alloys allows for a faster for complete chill. Ergonomic, sleek, attractive and seldom seen behind the bar. This shaker is uncommon these days and I think for good reason. The initial design for these shakers was a taller build to allow for more aeration when making sours or flips. The seal gets really snug and secure but, the release is somewhat of a struggle which leads me to believe why the design fell out of favor with the american bartender. Using this shaker you get a complete shake, lots of room for the drink to expand and get the aeration you need to make a cocktail light. The wider mouth tends to be too wide for some hawthorn strainers and once really cold can be annoying to figure out a method to get a clean release. It’s the kind of shaker perfect for home. I didn’t think about writing about this little gem, but since we are on the subject it makes sense. So a few years ago a couple of friends came together and designed a cobbler shaker that was married with a mason jar. I say cobbler shaker because it is made from many interlocking pieces to create a seal. The difference is the seal comes from screwing on the cap and strainer. So technically is a four piece glass cobbler shaker. The jar is definitely a lot wider than standard shakers so the grip is a bit hard to get a comfortable handle on. The cap is larger with the built in strainer also being larger which is pretty great for speedier pours but, also allows for more ice shards, which depending on you preference isn’t such a bad thing. Behind the bar this shaker is not really ideal, it’s the kind of piece with the intention to be a home shaker for entertaining friends during bar-b-ques or just summer drinking. At least that is the impression I get. Now that we have that set aside, we should talk technique. This is difficult to write about because it’s something best learned visually and through practice but, I think we can try and figure it out together. Firstly I recommend the two piece Japanese shaking tins for making drinks both at home and in a professional setting, because they are light, easily cleaned and very comfortable in your hands. First thing is first, how to hold your tins. What I am going to describe isn’t for everything but, with a little practice and some effort I think you might find this method pretty easy to adopt. With your dominant hand clasp the tins with the smaller piece against your chest and the larger piece horizontally facing away from you, your dominant hand will clasp the small tin with your dominant thumb against the bottom of the small tin which is against your chest and your remaining dominant fingers resting against the tins. You other hand will cradle the large tin with your middle and pointer finger holding the bottom of the larger tin with your thumb, ring and pink finger on the other hand cradling the larger tin. If you look down and see your hand positioning it’s almost like your carrying a baby. Sounds odd, but it was the first thing that came my mind when I took on this hand positioning. Where your hands and fingers are allow for the most secure positioning possible, there isn’t any way the tin will go flying out of your hands no matter what. As you might be aware these kinds of tins along with boston shakers do not exactly line up, there is always one side that is straight and the other at an angle. What I recommend is keeping the side which is straightened facing the ground and the angled side, the ill fitting side, facing up. The shake will be simple enough, you’re going to push and pull horizontally. To and from your chest, this will feel very different from more popular shakes like over the shoulder or the one handed maraca shake. The idea is to get enough inertia to break p the ice and get the right amount of dilution and aeration. Typically I tell my fellow bartenders the ideal sweet spot for shaken drinks is about 9-12 seconds. 9 seconds for drinks with simple ingredients and 12 seconds for complex ingredients such as cream and eggs. The next part and the hardest most annoying part is the separation of the shaking tins. These guys will create a seal from a vacuum and they will be slippery from frosting. What you want to do is keep the straight side against your chest, with your other hand hold the tin with your middle and ring finger against the small tin, your thumb, ring and pinky finger around the lip of the larger tin. Your dominant hand then comes in and smacks it right where your hand is, as if you’re about to clap. The tins to make a pop and separate. The remaining steps are to strain, garnish and serve and of course drink! Hopefully this helps you out some friends.